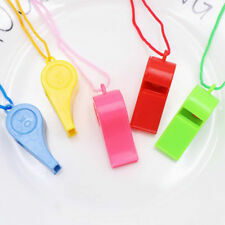 Pizzazz Cheerleading solid color Metallic Pom Pom, fast shipping! Full size pom! Chasse Cheer Shoes / Size 7 EUC. Condition is Used. Shipped with USPS Priority Mail. 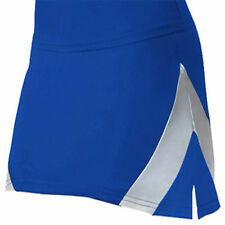 Varsity Skirt Cheerleader Uniform, Navy/Blue/White, Size Small. EUC. Varsity Skirt Cheerleader Uniform, Navy/Blue/White, Size Small. EUC.. Condition is Used. No tears, holes or stains. 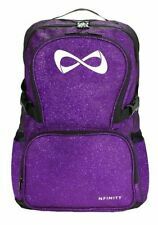 Nfinity Sparkle Backpack, Black/White Logo. Condition is New. Shipped with USPS Priority Mail. Color:Multi-color(Send random). We will do our best to solve your problem. Size:1.5 2 4.8 cm. This is an elite cheerleading uniform made by varsity. The top is size adult Large 4 and the shorts are adult large. It is in excellent condition. I can only find 1 rhinestone that is missing. Western Safety 50 Watt megaphone. Condition is Used. Shipped with USPS Parcel Select Ground. Vengeance Cheer Shoes. with Black/Red Carrying Case. Still would make Good Practice Shoes. If you are satisfied with the product you recevied. We do not hold any liability on any issues relating to. receive it and it should be not used and include the. We do not hold any liability on any issues relating to. if you are satisfied with the product you recevied. receive it and it should be not used and include the. This is a All Star 1 cheer uniform. There is a blue and red rhinestoned bra top and a blue and a red with white piping and rhinestones pair of shorts. This is an elite cheerleading uniform top made by varsity and 2 pairs of shorts made by body wrappers. The top is size adult Large 1 and the shorts are adult large. It is in excellent condition. NF1013 Runs Small Excellent. Nfinity Rival Cheer Shoe. The length in back is taken just under the collar if there is one to the bottom hem! Although if it was a blatant mistake by us we'll pick up everything. For your consideration, this is a CHEERLEADING or DANCE TEAM UNIFORM top by team cheer. Made of Cationic Polyester & Spandex. The colors are Red, White, & Blue. There is a zig-zagged stitched ACA patch on the front. Oakland Raiders Colors! It is 100% Polyester in the front, and the racer back is a Poly/Spandex 4 Way Stretch Mix for a nice form fitted look. TOP HAS A COUPLE OF VERY SMALL AND LIGHT DUST STREAKS ON THE BACK WHITE PANEL FROM SITTING ON THE WAREHOUSE SHELF. It is multi-pleated. 100% Polyester. For your consideration, this is a Black, Purple, & Aqua Cheerleading Skirt by CDT with FLY-AWAY pleats. 100% Polyester. YOUTH Girls. Cheer bows custom made in your choice of colors-. 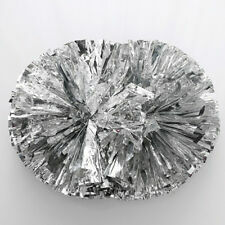 and choice of rhinestone centers or glitter or ribbon centers. Look great with this authentic cheerleading uniform made by Bristol that is in excellent shape. It includes the shell and skirt. The colors are black, yellow gold and white and made of a 100% Poly. Authentic 2 piece cheerleader uniform "Warriors". For sale: 2 piece authentic cheerleader uniform: Light brown, green and white. expect to have the uniform washed or professionally cleaned as standard procedure. Shorts size AXS: 24"-26" waist, 9" length. Super shiny shorts! Adult Small.